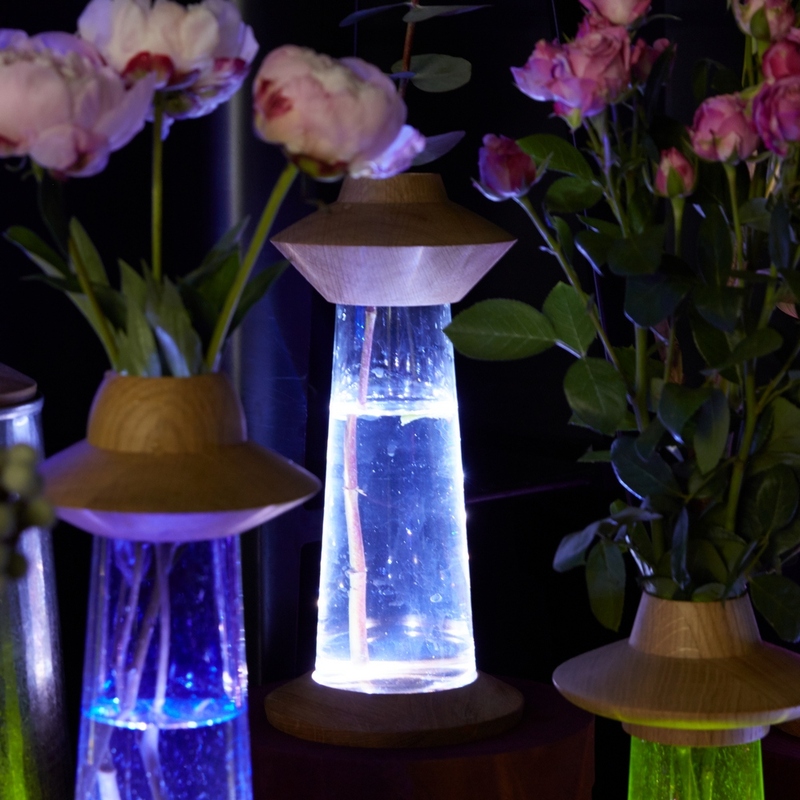 Handmade LED Vase Lamp, made from glass and oak wood. 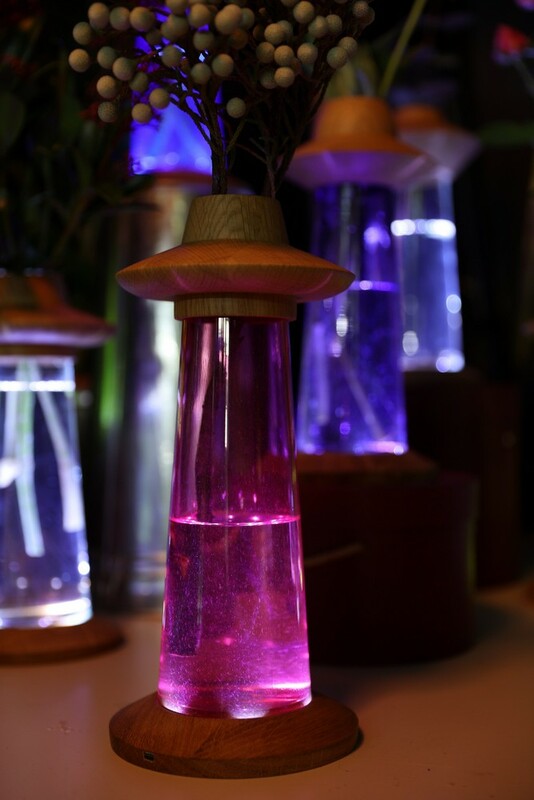 Glass base can be pink, blue, dark blue, yellow, green or violet. Tap the easy-to-use touch sensor and enjoy the relaxing and cosmic light in your room. 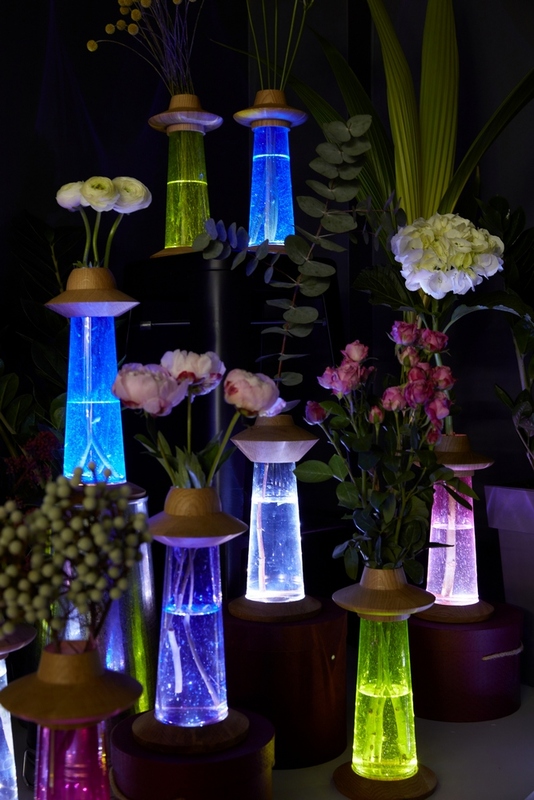 You can use this as a vase or a LED lamp simultaneously. You can also choose one of the three cap types that better suits your idea of a flying saucer (see the photos). Built-in 1300 mAH Li-Po battery for long lasting light. 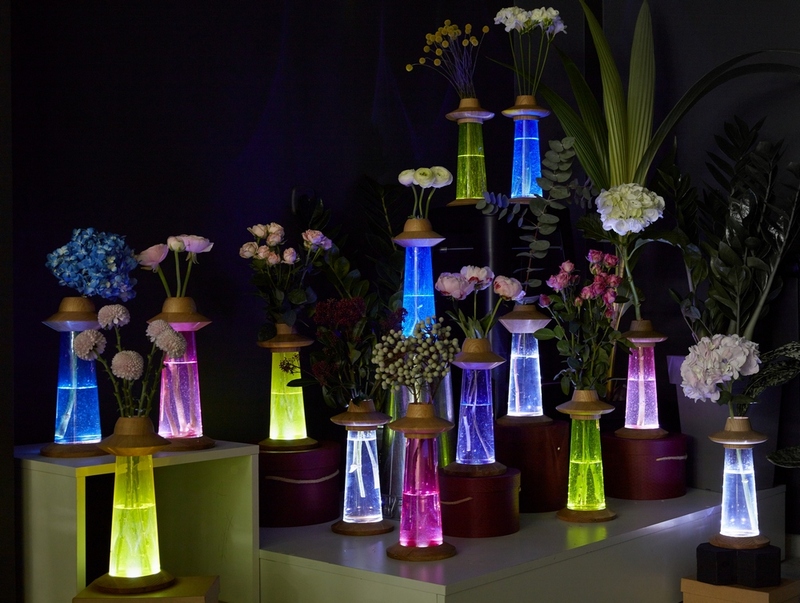 To recharge the LED Vase Lamp, simply plug into a micro-USB port. Your kids would be especially happy to get one. Be sure the glass is securely cut and the wood is pure and ecological so the UFO’s are safe for everyone. 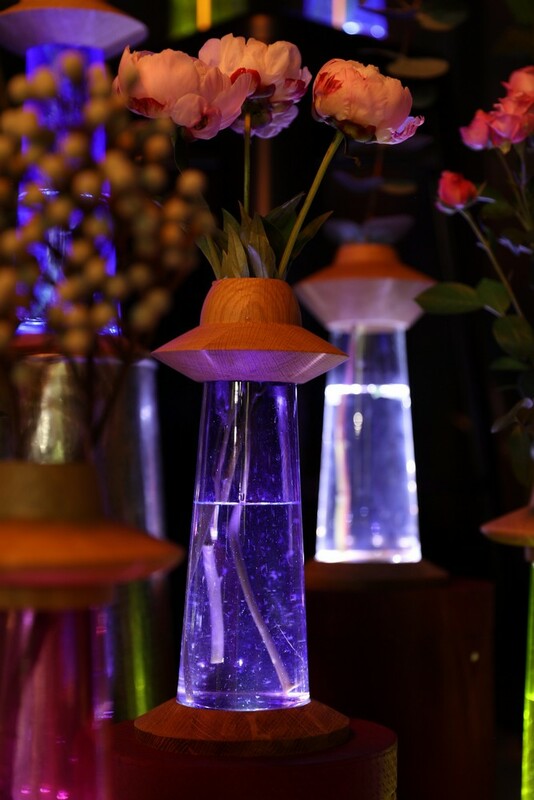 Ufological LED Vase Lamp will also find its place in an “adult” interior. Its ironic and hyperbolized design reminds of the miracles we still believe in though we’ve lost our faith in Santa Claus long ago.